It’s here, the moment our camp staff has been ecstatically waiting for all year. It’s finally summertime and we couldn’t be more excited to welcome all of our new and returning campers back to their home at Waukeela. As we begin readying the cabins, preparing delicious menus with our chef, and dusting off some of our favorite camp traditions you might be wondering what steps you should take to prepare for camp. For your convenience, we’ve compiled some great ways for you and your daughter to prepare for their first incredible summer at Waukeela! As much as our camp families rave about their amazing experiences at Waukeela, homesickness is almost always an inevitable worry for parents. 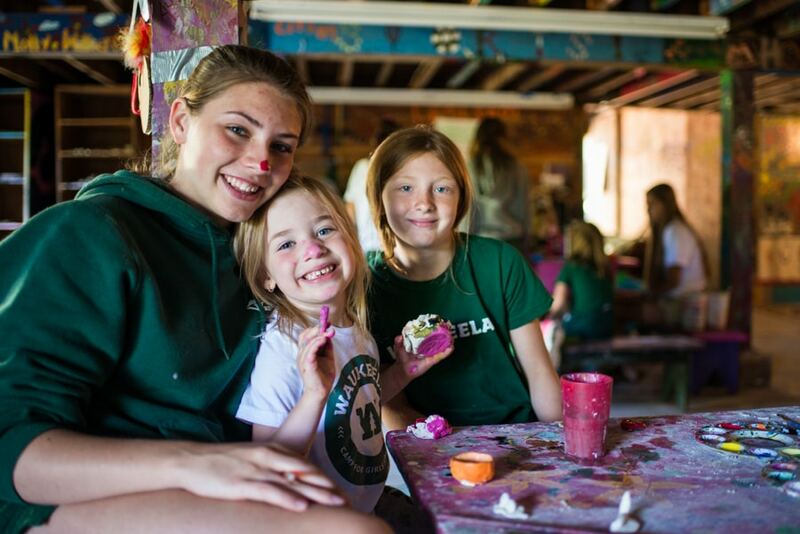 We work hard to create a community of support, communication, and sisterhood that encourages your daughter to make lifelong connections with other campers and staff while at camp. 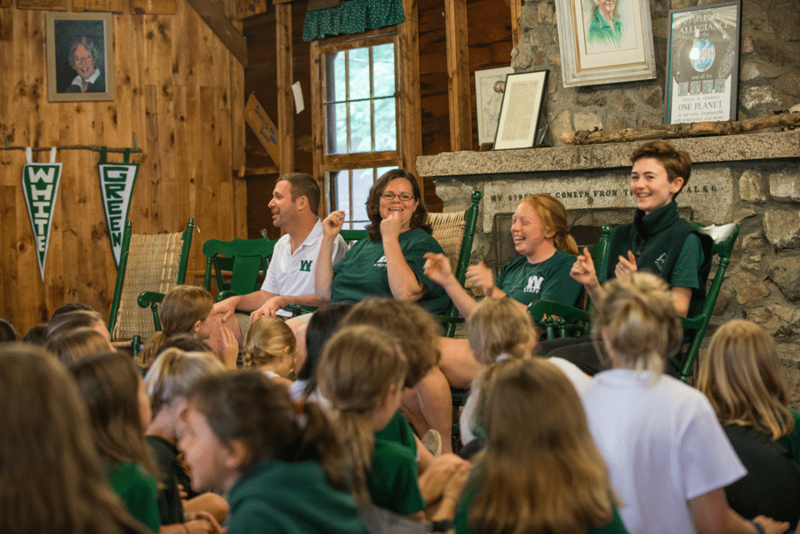 In this way, we face homesickness head-on and create a warm environment that leaves every camper feeling supported and excited to return to Waukeela next year! Want to stay in touch with your daughter during camp? Write her a letter! One of our favorite ways our campers “unplug” during the summer is by writing heartfelt letters where they can share some of their favorite experiences during camp. 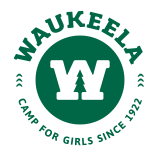 Even though we consider our entire Waukeela family to be sisters, each new camper also gets a specific camp Big Sister who will help her transition into life at Waukeela! This is one of the many ways we create a friendly environment where each and every camper can make new friends while exploring their passions. On Opening Day our Big Sisters will show your daughter around, introduce them to our community, and help them get over those first day jitters. In less than a couple days your daughter will become a lively part of our camp community – and we couldn’t be happier to have her! Whether your daughter is vegetarian, gluten-free, allergic to nuts or loves to dig into a barbeque, we have something for her at Waukeela! Every meal is shared with the entire community in our dining hall, which is undergoing an exciting expansion for this summer. Your daughter isn’t a huge fan of the main dish? Not to worry! Our chef provides a fresh selections of pasta, salad, ripe fruit, and more to accommodate all of our campers during every meal. Lastly, there is truly no other place in the world like Waukeela on earth. Give your daughter a little confidence boost before camp by sharing your excitement for her summer experience. If you’ve attended camp before, now is the perfect time to share some of your favorite memories! Your encouragement is one of the most important ways our campers gain confidence during their first time at Waukeela. This summer will be a lifelong coming of age experience, why not celebrate it? If you or your daughter have any questions about camp, feel free to email us! As we continue to prepare for an incredible summer, we warmly welcome your family to our camp community. We can hardly wait to meet your daughter on Opening Day! See you there!